[toc]The Burns in simple terms can be described as the inflammations affecting epidermis and sometimes even the dermis layer of the skin. Burns are basically of three types, depending upon the layers of skin tissues affected, mainly first degree( affecting epidermis of the skin), second degree(affecting epidermis and little part of dermis) and third degree(affecting epidermis and dermis of the skin). The symptoms of burns vary with the degree of burns and may cause inflammation, redness, swelling, pain and even blister formations. Minor burns are usually treated at home by cleaning with cool water, applying antiseptic ointments, covering with a bandage and taking pain killers. However, serious burns require immediate medical attention to fully cure them. If left untreated burns may even prove fatal for life. 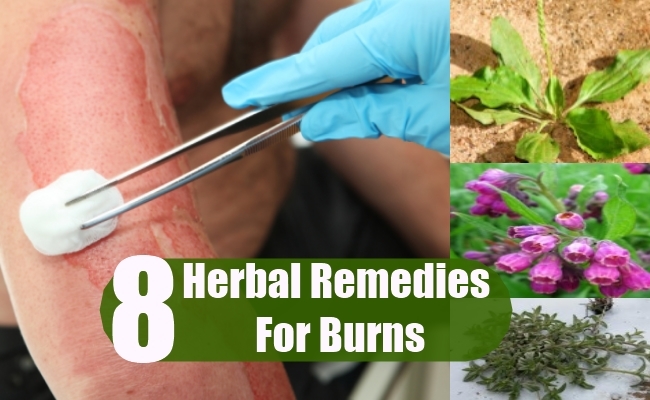 Below mentioned are some very important herbal remedies for providing relief from burns and its related symptoms. Plantain has been a very popular herbal remedy for treating burns of all degrees. The main components of Plantain are aucubin and allantoin, which help in providing relief from pain and inflammation of the skin tissues. It also helps in reducing bleeding and promotes skin healing. 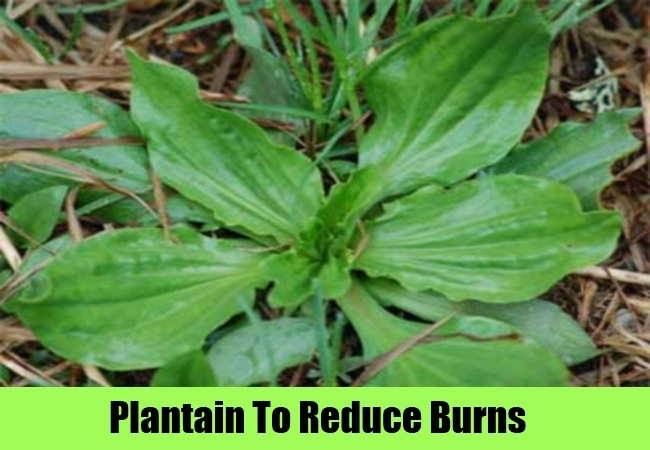 Plantain is especially very effective in providing a cooling effect to the burned area. An herbal salve made using Plantain leaves and roots when applied to the burnt skin area provides immediate relief from pain, burning sensation and discomfort associated with it. 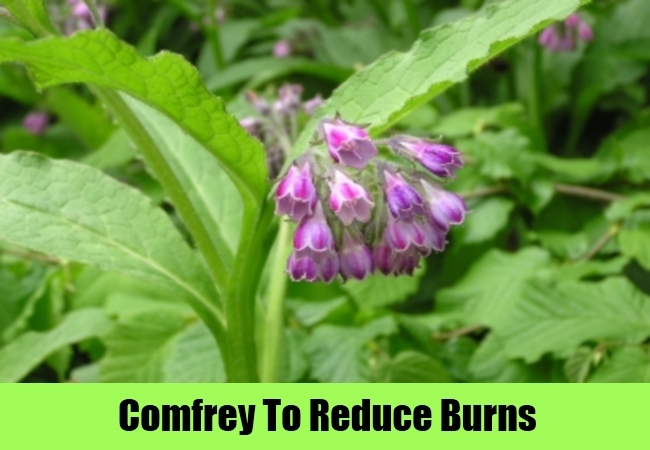 Comfrey has been used since ancient times by people all over the world to cure skin burns. Tannins are the main components of Comfrey, which forms a protective barrier over the burned skin tissues and promotes its healing. Comfrey also helps in providing a soothing effect to the irritated skin tissues and helps in reducing inflammation of the skin caused due to burns. Comfrey roots and leaves are rich in medicinal properties and used effectively to heal skin burns. It can be applied on the burnt area in form of salves, poultice, herbal compress, lotions, ointments etc., to provide a cooling and soothing effect. Aloe Vera is a very popular herbal remedy used for treating a large variety of skin problems, including burns, cuts and wounds. Aloe Vera stimulates the regeneration of destroyed skin cells during burns, by helping in collagen synthesis. It also helps in fighting against the various bacterial and viral infections which can affect the burnt area and give rise to complications. Other important properties of Aloe Vera include reducing inflammation of the burnt skin, provide a soothing and cooling effect and reduce the throbbing pain, associated with Burns of the skin. 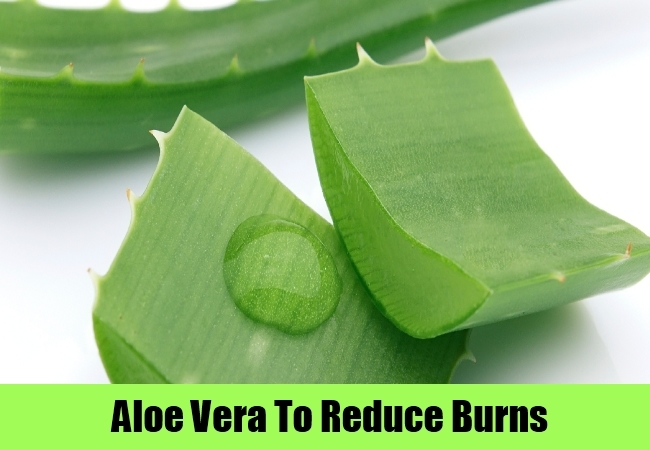 All these properties of Aloe Vera makes it a favorite among herbs to heal the skin after burns. The gel of Aloe Vera can be applied directly on the burnt skin area to provide relief. It is also available in form of salves, ointments, creams, lotions etc. 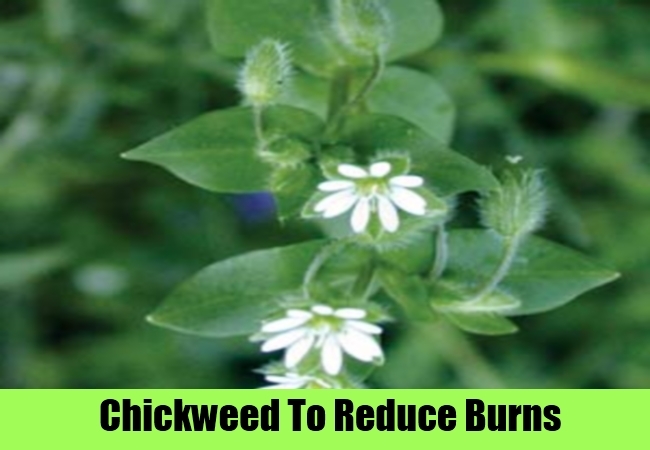 Chickweed is a very useful herbal remedy for treating skin burns. Chickweed is very useful in reducing the redness and swelling of the inflamed skin tissues and provides a cooling and soothing effect to the irritated skin tissues. Chickweed is also very effective in fighting against infections and prevents the burnt skin area from getting infected. Chickweed is very effective when applied in form of salves on the burnt skin area. it can also be applied in form of ointments, sprays, herbal compress, poultice etc., to provide relief from symptoms of burn. Slippery elm has been used since centuries to treat the burns of the skin. 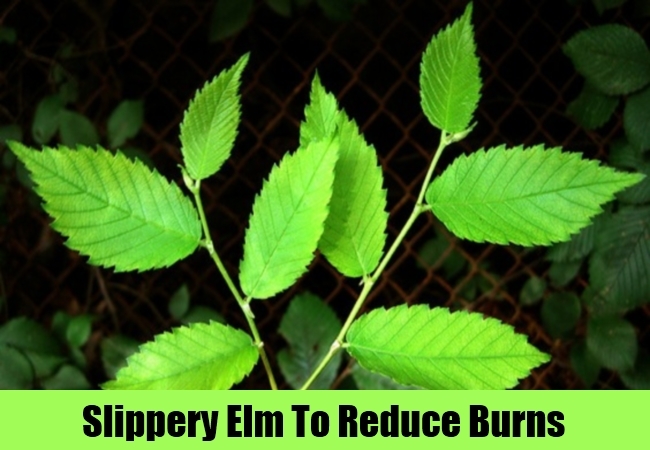 Slippery elm is very effective in providing relief from the throbbing and burning pain associated with skin burns. This herb is also very effective in reducing inflammation and irritation of the skin, caused due to burns. Slippery elm soothes the skin tissues both internally as well as externally. However, Slipper elm is to be strictly used externally in case of burns. It can be applied in form of poultice, herbal compress, fresh salve or paste made of bark etc., to get relief from burns. 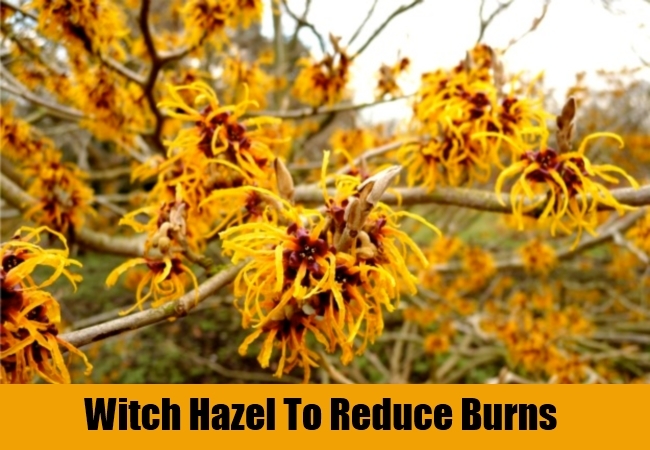 Witch hazel is yet another very effective herbal remedy for providing relief from symptoms of burns of the skin. Witch hazel helps in providing a cooling effect to the burnt skin area and also promotes healing by reducing inflammation of the skin tissues. It is highly effective in reducing severe pain associated with burn skin area. Witch hazel is also very beneficial in getting rid of puffiness, redness and blisters which form on the burnt skin area. The leaves and bark of Witch hazel are rich in medicinal properties and used effectively to treat burns. It can be applied on the skin area in form of sprays, astringent lotions, ointments, creams, fresh leaf salves, compress, poultice etc., to get instant relief from pain and inflammation. 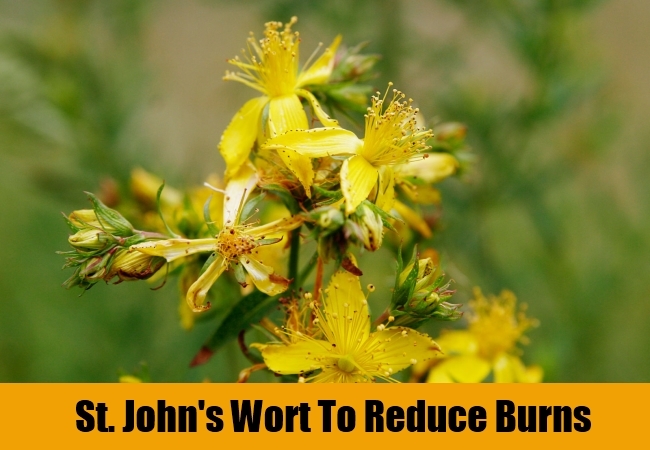 St. John’s wort has been used traditionally for curing skin burns and its related symptoms. St. John’ wort has the rich amount of tannins, which help in promoting skin healing by forming a protective covering over the burnt skin area. It also helps in fighting against infections, reducing pain and providing a cooling and soothing effect to the irritated skin tissues. St. John’s wort can be applied externally in form of salves, essential oil, skin wash, poultice, infusion etc. It can also be consumed internally to reduce inflammation and boost the immune system. Chamomile is one of the most used and widely popular herbal remedy for treating skin burns of all varieties and blisters formed as a result of burns on the skin. Chamomile is very effective in regeneration of destroyed skin cells, thereby promoting speedy recovery from burns. This herb also provides relief from sever pain related with burns and helps in producing a soothing effect to the irritated skin tissues. 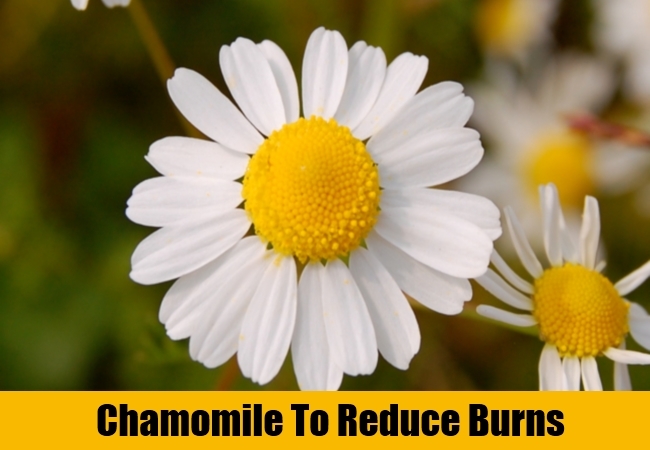 Another very useful property of Chamomile is reducing inflammations caused due to burns and infections of the skin. Chamomile herbal tea can be consumed both internally and used externally in form of skin wash and infusions. Chamomile can also be applied on the skin burns in form of salves, ointments, poultice etc.,to provide relief.